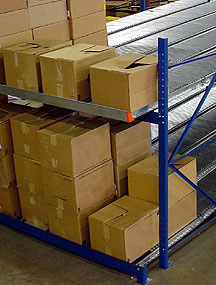 Column flow racking is an innovation designed to present vertical columns of cartons to pickers. 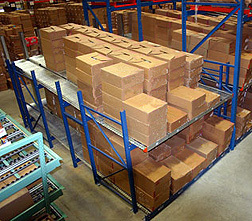 It works well for light cartons where flow storage and order picking are desired. You can stack cartons in each lane, allowing for more pick faces in the same space. 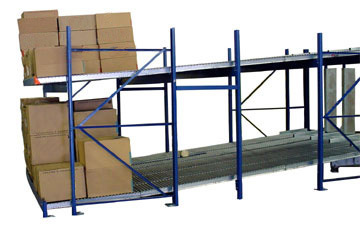 Column flow racks are an engineered product designed for specific loads. If your cartons are lightweight and you need to provide more picking face in the same area, this flow rack may be an ideal solution.